Making any kind of comeback after a lengthy spell away from the public eye is never easy. The expectations built during a prolonged absence are all too often unrealistically high, usually just enough to ensure whatever happens next is likely to underwhelm and disappoint. In an industry where leaving an extended gap between singles or albums can prove irreversibly damaging to a career, it’s never wise to let the grass grow and anyone bleating on about ‘art takes time’ just sounds like they’re making excuses when you’re reminded that Prince managed to release Purple Rain, Around The World In A Day, Parade and Sign O’ The Times in the space of three years – with at least two decent albums’ worth of material included therein – while still finding time to simultaneously musically de-flower a whole host of impressionable young female artists. 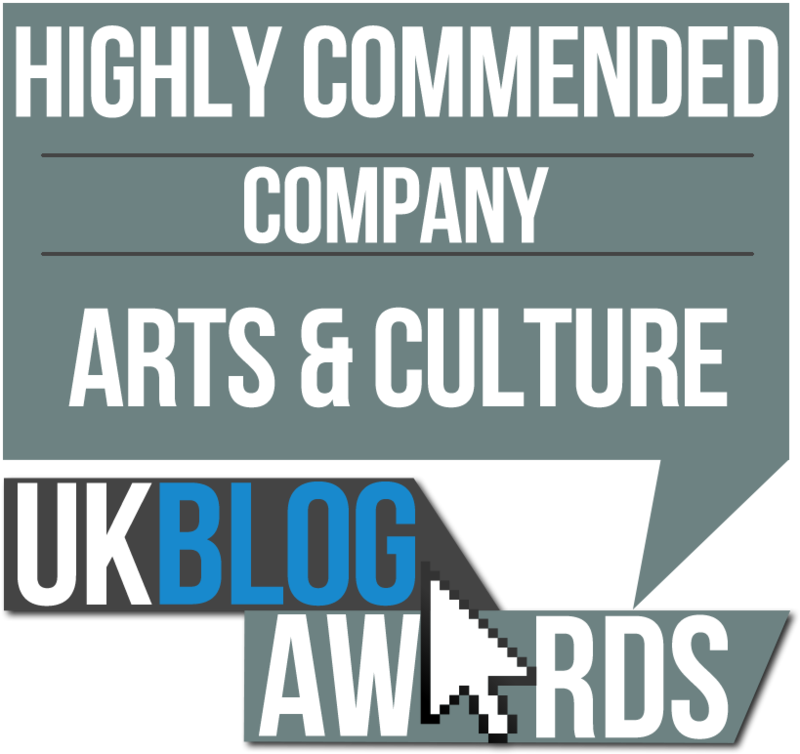 Leave it too long and – almost without exception – there’s an enterprising upstart or young pretender waiting in the wings, ready to swoop in and put their own twist on whatever it was you’d previously considered your signature sound or USP. Undoubtedly, it must have come as quite a shock for Coldplay when they caught those new (posh) kids on the block, Keane, conducting a sneaky ‘smash and grab’ on their ‘home turf’. In the three year gap when Chris and the boys foolishly decided to take a break between 2002’s A Rush Of Blood To The Head & X & Y in 2005, Keane unveiled their own collection of uplifting stadium anthems and radio-friendly pop songs and managed to sell a few million copies of their Hopes and Fears debut while they were at it. Thankfully, there are no such worries when it comes to Adele, Sam Smith and Emeli Sandé. It’s clear that behind the scenes they’ve done the sensible thing and come to some sort of time-share agreement, ensuring that their albums never clash and we, the grateful public, are never too far away from a constant downpour of heartfelt, confessional balladry. Obviously there are no set rules. Kate Bush’s re-emergence from a twelve year hiatus – with Aerial in 2005 – was greeted as nothing short of a ‘second coming’, with a new army of fans – raised on a substitute diet of Tori Amos, Bjork, Bat for Lashes and PJ Harvey – more than ready to feast on the real thing. But for others the journey back is more of an uphill struggle, with many finding their attempts to re-enter the pop forum an altogether more dangerous and arduous affair. Sheena Easton’s proposed comeback project, the disco covers album Fabulous, was preceded by a decent enough version of the Three Degree’s Giving Up, Giving In, which narrowly missed out on a top 40 chart placing on its release in December 2000. This came ten years after the public made their feelings perfectly clear during an outdoor, ‘homecoming’ gig, where it was reported the gathered masses showered poor Sheena with bottles of what can only be described as ‘suspiciously cloudy’ liquid, and time had done little to improve their mood. For some, the world just beyond the Popvoid can be a hostile and unforgiving environment. When electro-pop duo La Roux tried to make their comeback, emerging from the five year silence which followed the release (and global success) of their debut album, the reaction was slightly less confrontational (and unsanitary) than the one Sheena faced, but the end result was more or less the same. Despite some far from credible ‘showbiz’ parentage and an unfortunate outsized quiff, La Roux had made an impressive initial breakthrough, with their In For The Kill and Bulletproof singles powering their self-titled debut to a win at the 2011 Grammys. But a lot had changed during the band’s extended absence, not least the fact that they could no longer really justify calling themselves a band, with Elly Jackson confirming the departure of her long term musical partner, Ben Langmaid, at some point during the writing and recording process for their long gestating second album. It was also clear that the relationship between Jackson and her label, Polydor Records, had similarly soured and broken down, and the subsequent drought of hits which preceded the album’s eventual release in July 2014 must have only made things worse. Personally, I just didn’t understand Polydor, and ultimately the public’s, lack of interest and if it hadn’t been for a certain Miss Swift, La Roux’s Trouble In Paradise would have easily topped my Album of the Year list in 2014. The ‘singles’ released prior to the album, Uptight Downtown, with its Bowie’s Let’s Dance channelling vibe – making it a perfect follow-up to Duran Duran’s The Reflex – and the fun ‘n’ frisky Tropical Chancer, featured among my favourites of the year and the album itself played like a ‘Greatest Hits’, with virtually no ‘filler’ and plenty of potential singles lurking within its nine songs. Perhaps best of all was the track chosen as the first taste of what was to come. 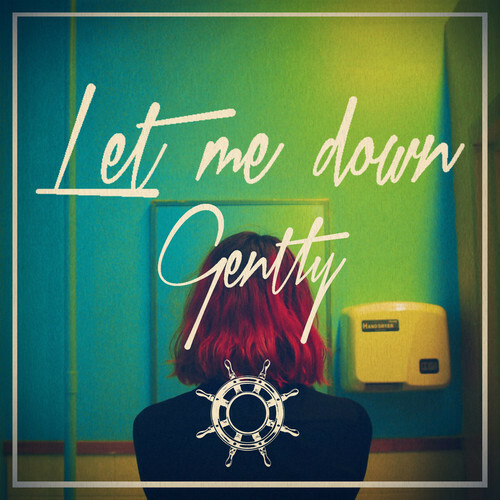 A relatively low-key and understated synth ballad, Let Me Down Gently is stiff upper-lipped, emotional and surprisingly confessional. Decidedly more nuanced and a quantum leap forward from the bubble-gum electro-pop which had become her signature sound, this was Jackson at her most subtle and quietly heartbroken. Undeniably retro, without sounding like a pastiche, it’s easy to imagine this nestling beside Culture Club’s Victims, New Moon on Monday by Duran Duran and Waves by Blancmange on the tracklisting of 1983’s end-of-year Now album. Oozing confidence, effortlessly cool and sophisticated, on first hearing it sounded like an artist finding a new voice and moving her career onto the next level. In some respects, this wasn’t too far from the truth. Unfortunately the level Jackson found herself moving to was a few floors below the one she’d started from. 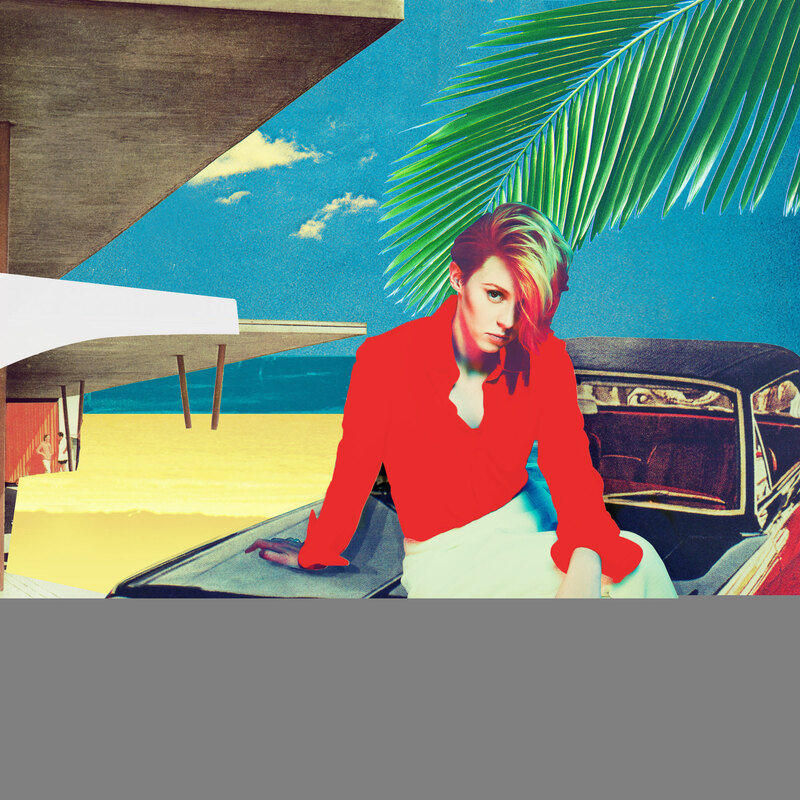 While Trouble in Paradise peaked at a respectable no.6 on the UK album chart, the four weeks the album spent inside the top 75 was a considerable disappointment compared to the almost year-long chart run of La Roux’s debut. If there’s a lesson to be learned from La Roux’s second album slump, it’s probably nothing more complicated than the fact that five years is an extremely long time in today’s music industry and no one is safe from the predictably fickle nature of the British record buying public and their uncompromising search for something new. Oh, and if your mum used to be on the telly, as a copper on The Bill, it’s probably best you try and keep that under wraps. Who could sing this today and have a hit? – Well, despite not actually having any Top 40 hits himself since 2011, I’d love to hear Will Young record this with the same uncluttered simplicity and directness as his signature mega-hit, Leave Right Now.